LC Interior Design is participating in the Antiques & Interiors Sale Event. 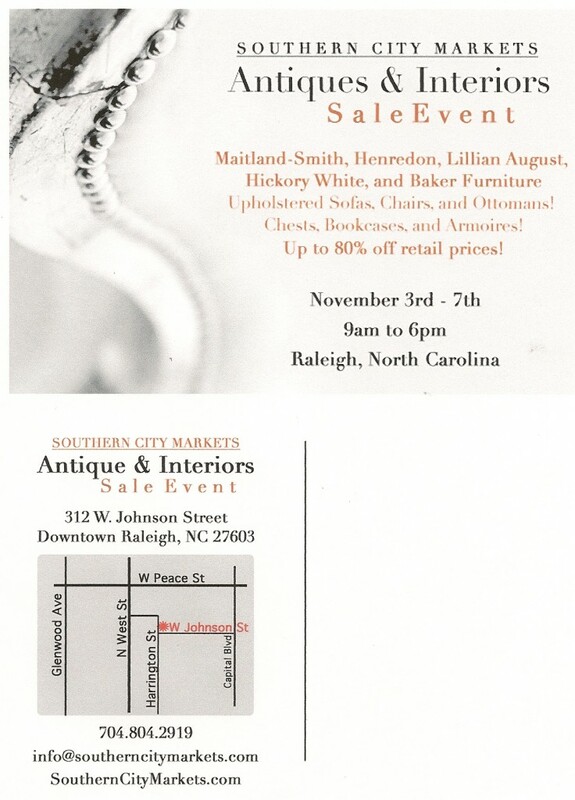 This 5 day sale is being held in downtown Raleigh……there are some great finds, so grab your tape measure and check it out!!! Next PostAntiques & Interiors Sale Extended! !